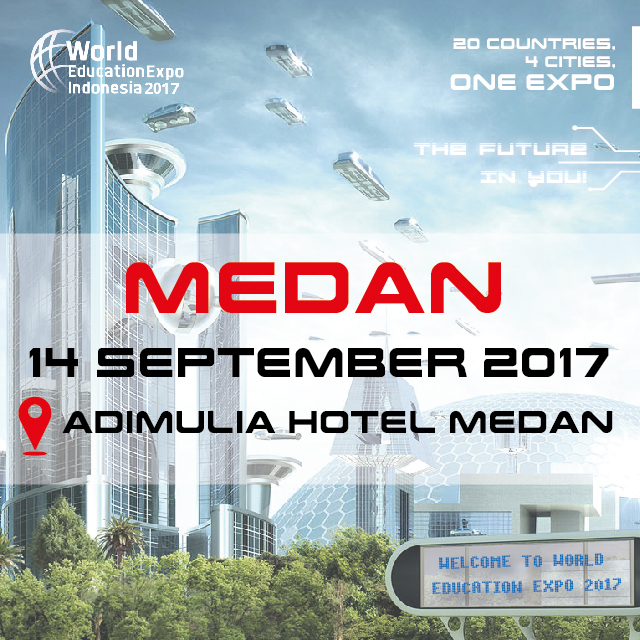 WEEI 2017 Medan Education Fair Details Medan is the largest city in Sumatra province, and the fourth largest city in the country. Medan, with population of about 2.2 million, has a very potential (maybe untapped for some areas) market for education institutions around the world. WEEI makes it a must to organize a fair in Medan for interested institutions that want to explore the opportunities in the city. WEEI will be promoting to top high schools and universities, and will be arranging bus pick ups to some of high schools too.